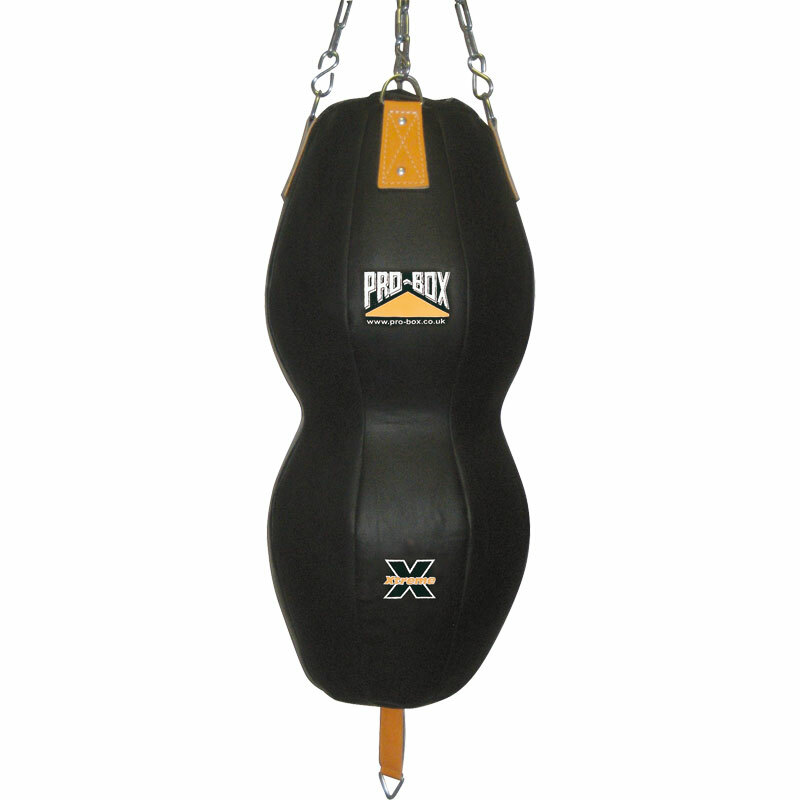 The Pro Box Xtreme Head n Body Bag is a versatile combination punch bag perfect for working on not just jabs and hooks but uppercuts as well. Great for teaching breaking down defences with work to body then head and visa versa. Made from durable leather grain vinyl. Top of the bag is laced, no zip. Size 18" diameter x 36" high.